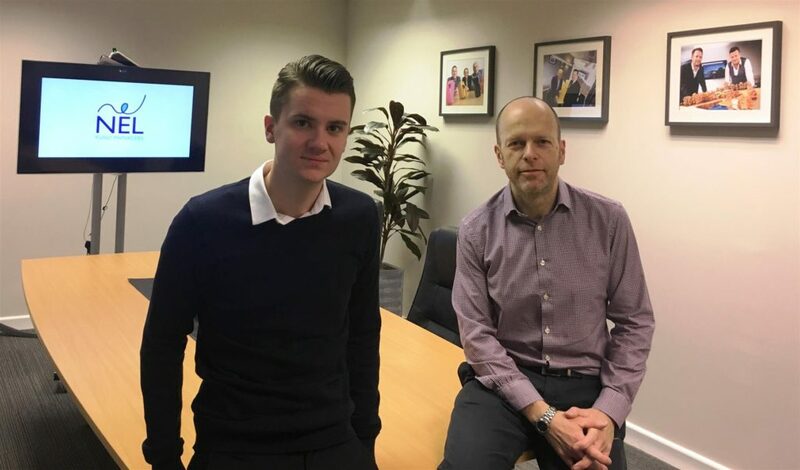 North East fund management firm NEL Fund Managers is investing in its own future with the appointment of Steven Hall to his first post-graduate role. Steven has joined NEL’s investment team as an investment associate after completing a Business & Economics degree at Northumbria University. His new role involves speaking with potential investees across Northumberland, County Durham and Tyne & Wear about how they can access investments from the two parts of the £120m North East Fund Supported By The European Regional Development Fund that NEL manages, and then helping to process resulting investment applications. NEL recruited Steven with the help of The University of Sunderland’s Graduate Internship Scheme, an organisation part-funded by the European Regional Development Fund which works across all the region’s universities to help graduates find both internships and permanent positions with North East employers. Steven, who is from Washington, says: “I chose my degree on the basis of wanting to eventually work within some part of the financial sector, and taking up this role gives me the chance to see how the skills I’ve been learning can be applied in a range of real life business situations. NEL is responsible for investing the £9m North East Small Loan Fund, which typically offers loans to businesses of between £10,000 and £50,000, and the £18m North East Growth Capital Fund, which provides unsecured investments of up to £500,000 to established businesses looking to realise their growth potential. David Thomas, investment director at NEL Fund Managers, adds: “It’s important that any business looking for sustainable success invests in finding and developing young talent, and it’s an approach that makes a real difference to the commercial performance of many of our investees. Lee Patrickson, ERDF internship development officer at the University of Sunderland, says: “The Graduate Internship Scheme offers a bespoke recruitment service and £3,375 funding towards the salary of a full time employee for North East firms who are looking to source graduate talent across all degree areas.